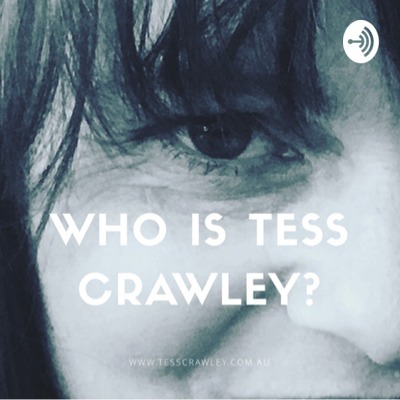 Welcome to Finding Proof with Australian psychologist Dr Tess Crawley. Are you feeling stuck? Are you worried about what others think? Does doubt stop you from taking action? Do you need to find proof that you are strong as wish you were? Welcome to the Finding Proof podcast where you learn to create the tools you need to reach that next level of success. 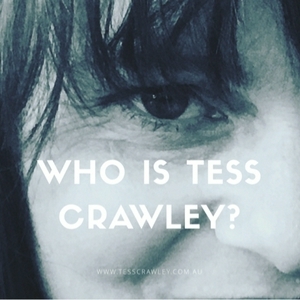 I am your host Dr Tess Crawley. I am a clinical and forensic psychologist and evidence-based success strategist. I am on a mission to help you find the evidence you need to make the next courageous leap in your life. Your TEAM’S money mindset is just as important as your own. Perhaps even more so. Do you have any idea what your team members think about charging their worth? Or your fee structure? Or your business' reliance on billable hours? It's time you did! Ep 58 - PARENTS: Sick of entrepreneurs and motivational speakers telling your kids to ignore you? PARENTS: Sick of entrepreneurs and motivational speakers telling your kids to ignore you? Then you’d better listen to this! My top 3 tips for parents of entrepreneurs: listen without judgement, be interested and curious, be supportive and encouraging. There’s no room for letting your fear prevent the adventures of your entrepreneurial offspring! I had never heard of energy mastery before meeting Jeanine Hofs, an Energy Master from the Netherlands. Jeanine's work is based on the Chinese philosophies of energy in all things. She works with her clients to identify their dominant energy type and how best to maximise it to achieve a more balanced life. In our conversation we discover some common ground, and we also chat about MY dominant energy type as measured by Jeanine's energy test, which you can try for free here: http://www.jeaninehofs.com/ I'm looking forward to chatting with Jeanine again one day soon! I'm a psychologist and business owner with 20 years' experience, and I've seen my share of ups and downs of life as a business owner. I've seen most of what business ownership can throw at you, and I have a few secret weapons up my sleeve that I'm happy to share with you. Here are my top 3 tips! Ep. 55 - NO QUARTER: What it is and why you need it. For mental health professionals! My intensive 90 Day mentoring program will help you develop a Take No Prisoners approach to smashing your goals. This program is specifically for those in private practice in a mental health or allied health setting. Don't worry if you're in a different business setting ... Soon I'll something similar for all y'all!! I've had a few conversations over the past week that have led me to wonder about bullying between professionals. I've also had the opportunity to compare how kids handle their peer relationships and what we can learn from them. Enjoy. In this conversation with Evan Carmichael, we talk about just why Evan felt "weird" as a kid and why he saw a child psychologist, his experience with anxiety as a child and how this influences how he handles tricky emotions now as an adult. This is a great discussion, and gets a bit heated in parts as I challenge Evan to stop "sanitising" interactions to avoid rich emotional interactions when there's a risk of tricky emotions being involved. The conversation even involves Evan's wife Nina when we talk about Evan's interactions with others. Ep. 52 - Why Am I A Business Mentor? ... Happy International Womens Day. Why Am I A Business Mentor? ... The Number One Woman Who Has Inspired Me. I've aspired to be a business owner since I was a little girl. Here's the story of why what I witnessed as a child inspires me to support business owners every day. Ep. 51 Even positive change can be stressful. In this week's live show I talk about some of the challenges in business ownership when it comes to sharing news and plans with your team. Whether you're a sole business operator, or the head of a large team, this is for you. Even positive change can be stressful. Treading carefully, leaning in, and pacing yourself. #FindingProof Live Show. In this (my 5oth!!) episode of the Finding Proof podcast I meet with the fabulous Peace Mitchell, co-founder of AusMumpreneur and the Women's Business School. Peace and her sister Katy have done more for women in business than any other organisation I can think of, in particular mums in business. If you're a woman, if you're a mum, if you're in business, if you're an entrepreneur, if you're a lover of great stories ... this is a wonderful story and I can't wait to share it with you! In this session with Evan, we explore how he felt weird as a kid and how this feeds into how he views the world today. We talked about empathy, and the shields he puts up to protect himself emotionally because he is so empathic. We also talked about his deep-seated fear of disappointing others. A great chat. Join us. I was invited recently to work alongside the wonderful Evan Carmichael as he embarks on his journey to build his YouTube audience from 1.7 million to 10 million subscribers. What's my role? I'll help Evan identify any potential psychological barriers that might tempt him to "play it small" along the way. #EvanCarmichael is a successful Canadian #entrepreneur and author. His book "Your One Word" is one I highly recommend. He has almost two million subscribers on YouTube, but still faces many of the same "what if" and "should" challenges we all battle. We had lots of fun exploring these topics, and I'll be speaking with him again each month. The videos of these sessions will be available on Evan's YouTube channel, and my #FindingProof FB page. In this first session, we talked about Evan's goal to solve one of the modern #business world's great problems - people not meeting their potential. Evan is a generous soul, driven to help entrepreneurs to achieve their goals and to believe in their own mission. His motto? "If you have the ability, you have the responsibility." And he sums it all up in a single word: #believe. Join Evan and I as we share his journey towards ten million YouTube subscribers. I think there'll be some deep insights and lots of laughs along the way! Ep. 45 Don't Water Down Your Niche! You're not all things to all people, so stop trying to be. By trying to be all things to all people, we water down the strength of our own niche. This in turn waters down our core message, which means our ideal audience won't find us. This podcast episode, recorded in a noisy cafe, was inspired by a great piece of feedback and advice given to me by Evan Carmichael last week. Apologies for the sound quality, but this is a message worth sharing. #ImperfectAction in action! Ep. 44 The Top 3 Opportunities I Said Yes To. And How They Were Life-Changing. Finding Proof Live Show Ep. 19 (10 Jan 2019) Let me step you through the Top 3 things I said yes to in 2018 that were crazy on the surface. Luckily I played scientist AND listened to my inner wise voice that was yelling at me to take these opportunities by the horns! By saying yes to these opportunities, I claimed my seat on the express train for growth and new adventures. You can easily overlook great opportunities. You can easily ignore your inner wisdom, or you gut feelings. But I encourage you to trust the instincts that have seen you right so far. Consider the risks and the benefits, but sometimes you just need to say yes! Ep. 43 - Trust your instincts or be a scientist? Which one is it? How can I advise you on the one hand to trust your instincts, while on the other hand tell you to be a scientist in your business? Easy. I incorporate both! How? By using a psychological strategy called "wise mind". It's easy, you can do it too. Ep. 42 - Be a scientist in your business. Be a scientist in your business. Formulate a hypothesis, test it out, incorporate what you’ve learned. Repeat. If you can't step back from the emotions sometimes and dispassionately assess what you've learned and how it will inform future directions, how will you grow? Ep. 41 - What 2018 taught me about courage, consistency, and clarity. 2018 was an amazing year. In this episode I share some of the lessons I learned about standing in courage, maintaining consistency, and finding clarity. Ep. 40 - How I Learned to Live My Values at Age 12. This week on my FINDING PROOF LIVE SHOW I spoke about some strategies that I use to prepare my business for the busy-ness and stress of Christmas. There are some mental traps that we all fall into at this time of year. I call them out and offer up some solutions for you. This week's Finding Proof podcast saw me interviewing my wonderful friend, Dr Amy Talbot, who was last week announced as the inaugural Psychologist of the Year at the Allied Health Awards. Amy talks about her journey to becoming a psychologist, the isolation that can come with being a young leader and business owner, and how she hopes her award will shine a light on the treatment of eating disorders. This was a cracker of an episode of the FINDING PROOF LIVE SHOW. It followed a rather interesting week where I not only faced some astonishing criticism (which I only let sway me for 24 hours! ), but I also received some incredible coincidental validation and encouragement, which only served to further embolden me! It all comes down to fear of criticism. And acceptance that you WILL be judged if you're courageous enough to choose your voice over your comfort. Understanding that you WILL be judged takes an abundance mindset and the ability to stay focused on your big picture plan. Having a social media presence will open you up for criticism from others, whether it's because they don't understand what you're doing, don't like what you're doing, or worry about what you're doing. But social media is an increasingly important part of any modern business. Even the CEO of my profession's governing body has stated that social media must be at the forefront of our endeavours, in order to stay connected with our community. In this episode, I step you through how I stay strong in the face of judgement and criticism, and I share some stories from others as well, so you can stay strong too. Because you will be judged. It's a given. But that's okay. Episode 36 of the Finding Proof Podcast sees me interviewing Clay Cockrell. Clay is a licensed clinical social worker, entrepreneur, actor, and theatre company owner. He's a disruptor too, bringing innovation to the world of therapy in the form of Walk & Talk and the Online Counselling Directory. Like anyone stepping outside the stereotype, he's faced his haters too, but took it all in his stride. It was my absolute joy to chat with him, and I'm hoping we'll catch up in person when I'm in New York next year! Ep. 35 ... Tapping into your hidden skill sets. This latest episode of the podcast shares with you Episode 11 of the FINDING PROOF LIVE SHOW that airs weekly on Facebook. I spoke about tapping into and honouring those hidden talents and knowledge bases that we all have, and we all overlook sometimes. What knowledge do you have that you take for granted? What skills do you possess that others would truly value if only you'd share them? Ep. 33 - Collegiality Beats Competitiveness! LIVE CHAT WITH GERDA MULLER - Back in September I attended the Australian Psychological Society's annual congress in Sydney and had the wonderful opportunity to chat with my dear friend and business mentor, Gerda Muller, about the importance of collegiality and collaboration in business. Having an abundance mindset makes collegiality a no-brainer. Ep. 34 - Interviewing David Fuller - Australian musician, songwriter and producer. Ep. 32 - Bosses Have Feelings Too. Honouring the emotions of working relationships when they end. Ep. 31 - An average of 1 kid in every classroom has dyspraxia. Meet one of them. In this episode of the Finding Proof podcast I have a relaxed chat with my son about what it's like living with dyspraxia. Never heard of dyspraxia? Harry Potter actor, Daniel Radcliffe, has it. One of the Doctor's newest companions on Doctor Who also has it. It's a coordination disorder affecting on average one kid in every class, and often goes undiagnosed. You'll learn a bit about dyspraxia in this episode, but you'll also learn how my family and I managed to find our own proof of how courageous and creative we could be in the face of our struggles. And the good news is, we're a happier family for it! Ep. 30 ... Are you allowing the dust to settle? No? You should! Are you doing yourself a disservice by not allowing the time you need to think, refresh, recharge, and reboot? Come on, as a business owner, creative, or entrepreneur you deserve better than that. You need creative solutions to your business dilemmas. Make sure you take the time you need. Your ideas are too precious to be lost to busy-ness! What excuses do you hear yourself saying time and again? Mine is "I don't have time". When you think about it, that's ridiculous. I have the same 24 hours as anyone else. For me to achieve my goals, I have had to own that nonsense excuse and challenge the hell out of it. Want to know how I did it? Listen on, my friends. In this episode of the Finding Proof podcast, I'll talk you through just what Finding Proof is all about and where it came from. I'll also give you a couple of little hints to start you on your way towards finding proof of your own incredible awesomeness! Did you notice that the name of this podcast has changed? What's it all about, and how does it relate to you? Have a listen and I'll explain as we make the transition from Quiet Confidence to Finding Proof. Ep. 24. What is Your Hero Story? What's your "Hero Story"? I know you’ve got one. Have a listen and we’ll find the evidence together. Ep. 22 Confidently Claiming Your Seat at the Table. Claiming your seat at the table requires owning your uniqueness and valuing your worth. Are you up for it? Ep 21. Check Your Mindset. “Mindset” is a bit of a buzzword these days. What does it mean? What is a fixed vs growth mindset? How does scarcity differ from abundance? Listen on! Ep 20. What can you change to take better care of yourself? Self-care is more than just bubble baths and chocolate. Ate you really paying attention to what you need to do to CARE for your SELF? We can’t know all the answers all the time. Ask for support, guidance, and mentoring. You’d be surprised how often people are willing to help. And don’t be afraid to let the authentic silly you out of its box sometimes! What is so scary about speaking our dreams and hopes out loud? Are you scared of judgement? Of failure? Or of actually achieving your dreams? Maybe it’s time to give your wishes a voice. Ep. 17. Connection: Trusting the ebb and flo of friendship. Great friendships are a little like the ocean: always there, but the tide comes and goes. By trusting the golden thread of connection, and listening to our inner wisdom in this regard, we can influence that tide. I’ll expand upon this in future episodes, but I’ll just leave this brief thought with you for now. Ep 15. Keeping the big picture in mind. Getting stuck in the nitty gritty can lead to procrastination and de-motivation. Keeping the big picture in mind and taking imperfect action, will help you make progress. Ep 14 Communicate! No one can read your mind. Related to the earlier episode where I remind you that you’re not actually a mind-reader, in this episode I remind you that neither is anyone else. How would your relationships improve if you stopped assuming others knew how you were feeling? The key is to communicate. Ask, tell, listen, but never assume! Stop listening to your inner critic. Stop comparing yourself to others. Find what inspires you, who inspires, and look inward to draw on your uniqueness. Then you can tell that inner critic to shut up! Pay attention to the relationship between time of day, energy levels, and your confidence. You’ll be more able to do the bravest stuff when you’re in your most confident time zone! Sometimes we need to get out of our own way and remember how much fun we can be. A good belly laugh or a solid giggle is so good for the soul! I had a reminder today that mind-reading is a trap we all fall into. Stop giving dodgy assumptions the power to ruin your day! Why is it so hard to acknowledge our own brilliance. In Australia we blame the Tall Poppy Syndrome. What holds you back from identifying and owning your brilliance? How connecting with others online can be as valid as face-to-face connections. How perfectionism and procrastination are linked to anxiety. Thank you to everyone who has expressed concern following the Hobart floods. Stop procrastinating, over-thinking, and over-researching. Take imperfect Action and DO THE THING! Participating in a “confidence challenge” to find joy gave me the opportunity to understand how we sometimes need courage to fully engage in joyful behaviour. Episode One. Welcome to Quiet Confidence! Welcome to the launch episode of my Quiet Confidence podcast! A little about who I am and the birth of this podcast. So glad to have you here!